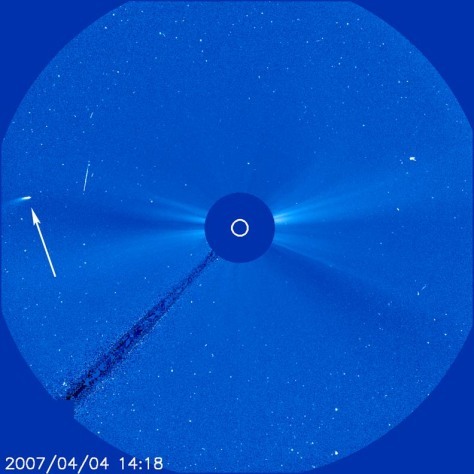 This view of comet Machholz was recorded by the SOHO space telescope in 2007. Comet Machholz was discovered in 1986 by amateur astronomer and comet-hunter Donald Machholz. It orbits the sun in just over five years.